Rhinophyma, or the red, bulbous nose features most commonly seen in older men due to rosacea, can have a tremendously negative impact on a patient’s life. Because of its effect on the appearance of the nose, patients may feel embarrassed in social settings and self conscious. This can lead to isolation and even depression. Fortunately, this condition is treatable with Rhinophyma Correction surgery and can get patients back to enjoying their lives again and feeling confident in their appearance. Caused by overactivity of the sebaceous, or oily glands of the nose, Rhinophyma is an end result of the skin condition Rosacea. Affecting over 14 million Americans, Rosacea is characterized by diffuse redness and capillaries in the center region of the face, including the forehead, nose, eyelids, cheeks and chin. When oil glands in these areas become overactive, bacteria count increases as well. As a result, pustules and nodules begin to form and can eventually cause the nose to look enlarged and deformed. Left untreated, this condition intensifies and eventually progresses into the condition Rhinophyma. Although facial redness, broken capillaries and a “ruddy” complexion can be treated with non-ablative technologies like Intense Pulsed Light (IPL clickable link), true Rhinophyma correction requires the use of an ablative laser cautery or dermabrasion to return the nose back to a more normal state. Your surgeon will advise which method is most appropriate for you and also discuss other treatments including medications and lifestyle behaviors that may enhance your outcome. Laser Resurfacing, cautery and dermabrasion both work by removing layers of skin on your nose. The objective is to safely remove the nodules and bulk which have formed over time and are distorting the appearance of the nose. At the same time, your surgeon will strategically remove some of the underlying sebaceous glands which are contributing to the Rhinophyma. This process is very methodical, as it is paramount to preserve healthy tissue while restoring a desirable shape back to the nose. Rhinophyma Correction procedures are performed in just over an hour and are typically done under local anesthesia in our clinic. Your nose and surrounding skin is injected with local anesthetic to decrease bleeding and for postoperative comfort. 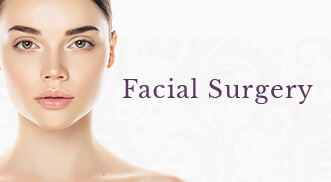 Next, either a laser, cautery or dermabrasion is used to remove excess skin and to shape the nose into its final form. The initial result appears as though the skin of the nose has been ‘sandpapered”. After your Rhinophyma Correction, an occlusive dressing maybe placed on the raw surface of the nose and used for about a week until new skin regenerates. Alternatively, ointment may be applied. Your recovery progresses in stages. The skin is red for a few weeks, but gradually starts blending into the coloration of the surrounding skin. Patients are cautioned to stay out of the sun for the first few weeks after this procedure, as new skin is forming, which is fragile. 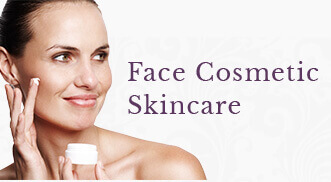 Your surgeon will discuss post operative skincare. Maintenance of your Rhinophyma Correction results may involve the use of the topical rosacea treatments such as retinoids, antibiotic gels and IPL treatments to manage the re-growth of capillaries. Are you interested in learning more about Rhinophyma Correction?